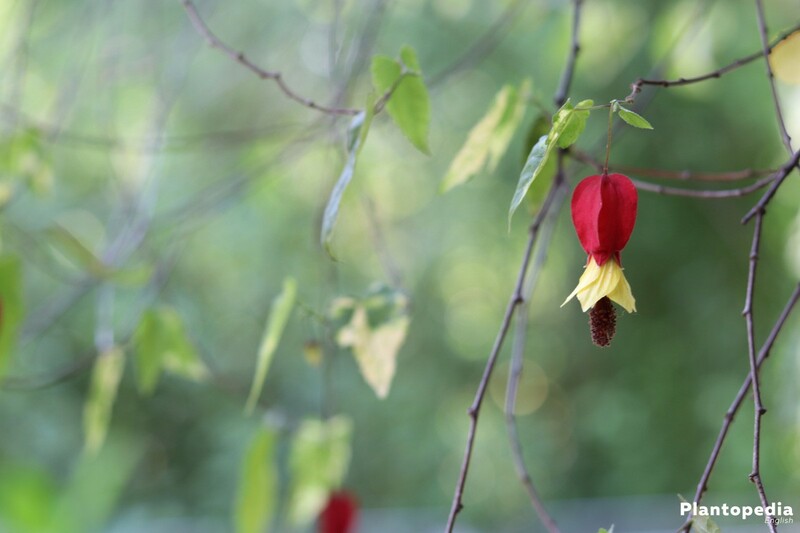 The decorative Flowering Maple, also known as Indian Mallow or Abutilon loves spending the summer outside as a pot plant on the balcony or patio. However, it has to be kept warm in the wintertime because it isn’t hardy. 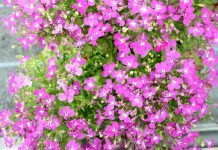 Especially in the summer months it forms its decorative blossoms in all different kinds of colours. Due to its lack of hardiness, Flowering Maple is not suitable for the cultivation in a garden plot however, the tree looks as beautiful during summer time in a pot on the patio or balcony as inside the flat in winter. 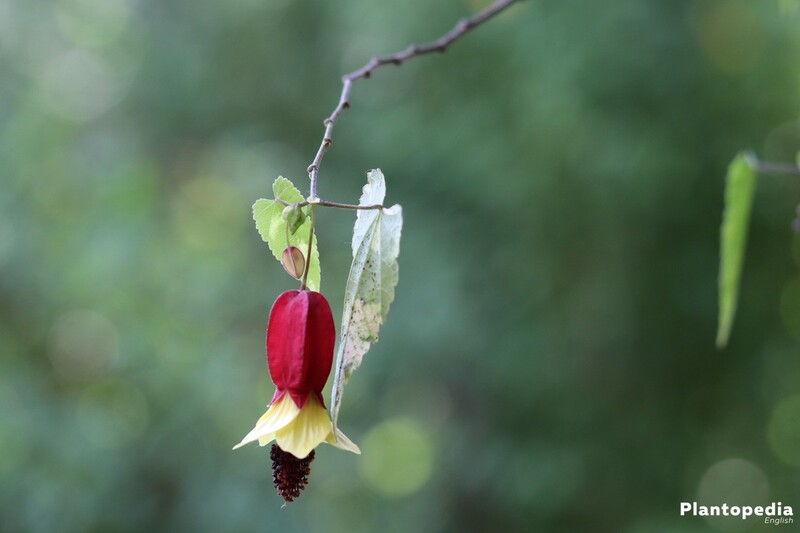 The decorative, bell-shaped blossoms shimmer in colours red, orange or yellow and appear mainly in summer however, blossoming in winter time is also possible depending on the site that is available for Abutilon. 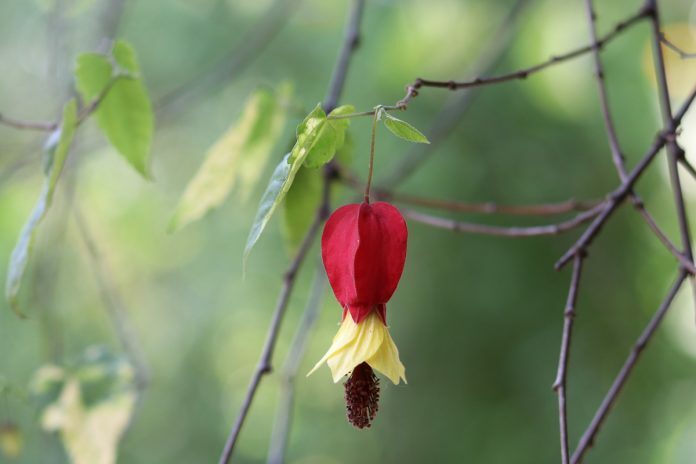 Generally speaking, Abutilon is a very low-maintenance plant. Only when it is relocated it has to slowly get used to the differences in temperature. 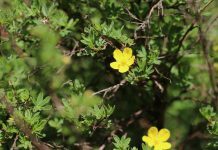 Furthermore, it should be kept in shape by trimming it or it might lose its ability to blossom and start solely growing upwards. This is what the proper care of Flowering Maple looks like. Even though the location of Flowering Maple primarily depends on the seasons it should always be kept in a bright place. Therefore the following features should be ensured at the ideal site. In case Indian Mallow is close to a window, the curtains or blinds should be closed if your plant would otherwise be in the sun. An awning or parasol also helps over midday on patios or balconies. Temperature is important for Indian Mallow to thrive and blossom abundantly. The ideal temperature is therefore between 20° und 25° Celsius. Here, major fluctuations are to be avoided at all cost. The plant should be taken into the house as soon as temperatures start dropping below 15° Celsius. 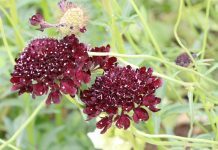 You should absolutely make sure that the plant is not put in a very warm room immediately as a fluctuation of temperature of that kind would also not do it any good and it will acknowledge it by discarding of its blossoms and buds right away. Therefore, the plant should only slowly be introduced to the new site situation; the temperature in the premises should only be increased slowly. Flowering Maple wishes the soil to be nutritious and permeable. Regular garden soil mixed with compost can definitely be used. Furthermore, regular flower soil or soil for pot plants is also suitable as a substrate however, here it is important to use a high quality product. 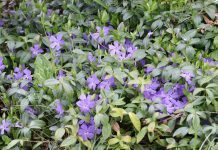 Spring is the ideal time for planting. Furthermore, Flowering Maple should be repotted into a larger pot at this time every year because it is a very fast growing plant. When repotting, please proceed as described in “Planting in Pots”. Indian Mallow should not be cultivated in a garden plot, planting in a pot is appropriate here. This is because the plant is not hardy at all. It already copes very badly with temperatures only below 12° Celsius. 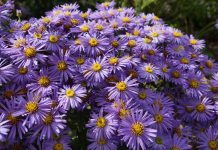 Planting in a plot during springtime and than digging it up for hibernation is also not advisable because it already does not cope well with a change of location in only its pot. 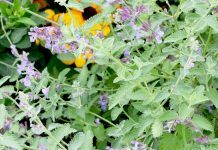 Additionally, garden plots are only very rarely protected sufficiently from the sun, wind and rain which would also already damage the plant severely. Abutilon is ideally cultivated in a pot. This makes it possible to take the plant to an appropriate site according to season. You can put the pot on a stand with wheels even before planting and filling it with soil, so you wont have to lift the heavy pot. This makes it easy to always push Flowering Maple to where it is to be placed. Furthermore, the following should also be considered when planting in a pot. When the soil at the top of the pot is slightly dried out it is time for the next irrigation. This way you have to always keep your Abutilon slightly damp and avoid the dehydration of the entire soil. Waterlogging, which the plant does not tolerate needs to be avoided as well. Daily watering in the early morning hours or late at night is therefore appropriate in the hot summer months. You should water at least once a week at all other times. Watering must not cancelled in wintertime as well. 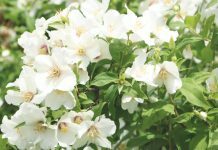 Especially when the charming tree is in the flowering period, it should be watered frequently. When watering you should pay attention to the following points. In order for Abutilon to develop its decorative blossoms it needs to be fertilised on a regular basis. You may use liquid fertiliser with the irrigation water every two to three weeks. Start fertilising after winter to make sure the new buds are able to develop. In case you wish to have blossoms on your Flowering Maple until late into autumn, you can also fertilise it until November. Abutilon has to hibernate in a room. However, a dark basement is the wrong choice here. During wintertime, it is better to provide it with a room that is not too warm. This includes for example a spot near a window in a bedroom or a corridor. A conservatory is also the ideal site for the cold season. Especially in autumn, it is important to pay attention to the dropping temperature. 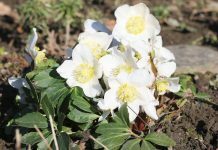 It is better to take the plants into the living space as early as possible, so that there is a relatively similar temperature on outside and inside and Abutilon won’t suffer damage from severe temperature fluctuations. Indian Mallow should be prepared for the winter like this. Be careful if you notice very wet soil in the pot when taking the plant inside. You should abstain from watering for a while and possibly also remove the saucer so that the excess water can drain more easily. Only when the soil has dried on the surface you should start moderately watering again. As Flowering Maple does not cope well with temperature fluctuations, it is also important to carefully take it out of its winter quarters. You should start with this in January already so that it can slowly get used to warmer temperatures again. For example, you could start by slowly turning the heating up a bit so that the room temperature will also increase slowly. Unfortunately, the plant also does not cope well with dry air, so make sure the air in the room stays humid enough. 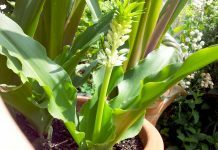 When it slowly has adapted to the higher temperatures in spring, it can be placed back on its site on the patio or balcony but not before the middle of May. Further more it is important to keep the following in mind after hibernation. It is important to trim the plant regularly so that it keeps its look. Without trimming, it grows uncontrollably and turns into a mushrooming shrub. Regular trimming also increases the blossoming capacity. 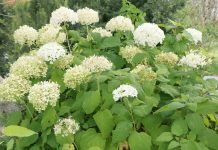 It is possible to trim the plant several times a year when you deem it necessary, in case it has grown to large and loses its shape. There are different alternatives when trimming. You should pinch Abutilon once a year to ensure a compact growth. This means removing the tips that stick out from the crown all around. 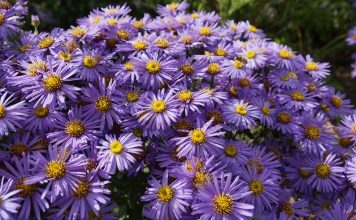 Autumn is the ideal time for this trim just before it is moved to its winter quarters or springtime before the plant starts sprouting again. Abutilon should receive a pruning before moving to its winter quarters. Especially if there is not a lot of room in the living space, it can be cut down to half its size. Flowering Maple takes a pruning like this very well, you can even cut into the matured wood. 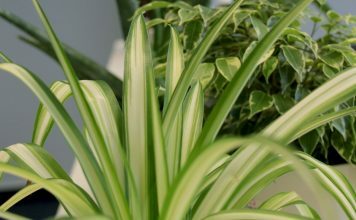 You should also thin the decorative plant to prevent a potential pest infestation, which is common during the winter months. It doesn’t do Indian Mallow any harm when it is kept in shape all year round. Smaller corrections can therefore be made all year round for a nicer look of the plant. Very close and overhanging branches can be removed. Because Indian Mallow is slightly poisonous, you should wear gloves as a protection when trimming, in case this poison should have contact with your skin. Otherwise you could experience an itchy rash. Do not use scissors for the trim as they bruise the stems. Rather work with a clean, disinfected and sharp knife. You should seize the opportunity to trim the roots while repotting the plant in springtime. This serves the rejuvenation of the plant and with a pair of clean, disinfected and sharp scissors you can trim all overhanging roots. It is very easy to propagate Flowering Maple. There are two possible options; you can either sow the seed. This is usually sensible if you do not already own one of these decorative plants. This procedure also takes a bit longer. 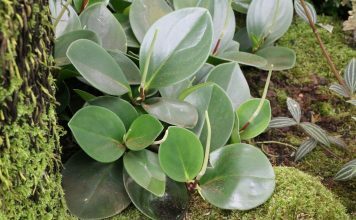 The quicker option is by using cuttings that you can cur from an already available plant. This is how you will easily succeed in sowing seeds from a shop. The foil or glass should be removed daily to air the sprouts and to avoid mould formation. When the first little plants start to show, take them to a warm and bright place so that they can develop. 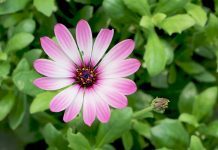 The cuttings are either used immediately after the sprouting or in summer during the blossoming period. Shoots that are half lignified are the ideal choice here, as they usually root the best. This is how you propagate by using cuttings. 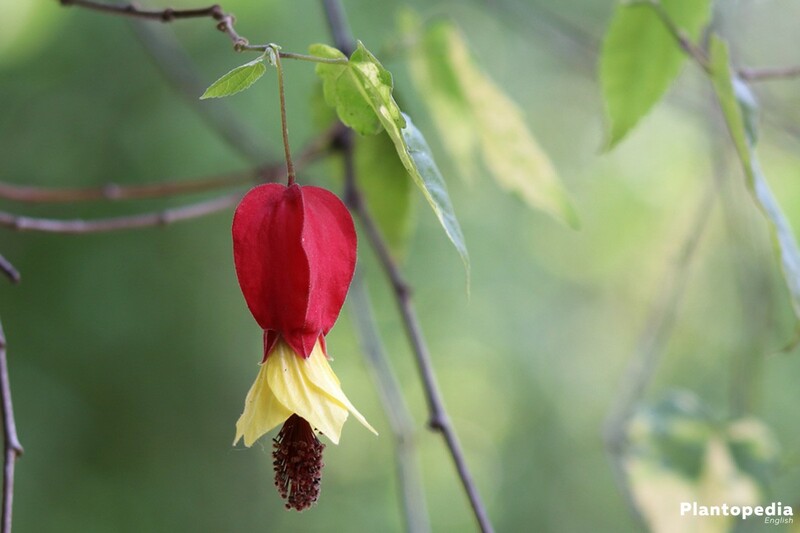 Especially in wintertime Abutilon is more sensitive to parasites. The plant should therefore be examined for traces every now and then. Regular spraying of Flowering Maple could already help in advance. The following parasites may occur. 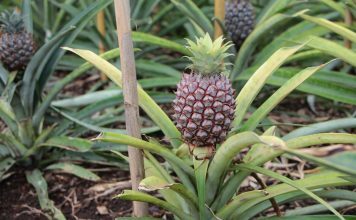 As soon as you recognise traces of the parasites, you should rinse off your plant or spray it with a mixture of washing-up liquid and water. 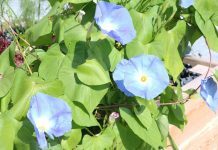 You should use insecticides and cut away the parts of the plant that are affected completely only if this does not help. 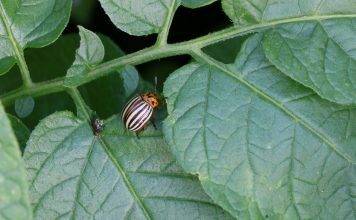 To prevent a pest infestation in advance, do not place the individual plants to close to each other in the winter quarter.